A tough road ahead for Ethiopia's new leader Abiy Ahmed – Satenaw Ethioopian News & Breaking News: Your right to know! Ahmed has a unique opportunity to unite a country riven by ethnic tensions – but he is facing deep-rooted challenges. On Monday, April 2nd, the Ethiopian Parliament will confirm Abiy Ahmed, a standard bearer for the reformist faction of the ruling Council of the Ethiopian People’s Revolutionary Democratic Front (EPRDF), as the country’s prime minister. Following the dramatic resignation of Prime Minister Hailemariam Desalegn on February 15, the ruling party elected Ahmed as its new chairman in its most competitive leadership race to date, paving the way for him to become the first Oromo head of government in Ethiopia. Ahmed will come to power amid a highly combustible crisis – a highly divided country, a vanguard party on the verge of crumbling, an economy at a standstill, a state of emergency, and an agitated population calling for revolutionary change. The retired lieutenant general and former director of the Intelligence and National Security Network (INSA), faces the tortuous task of uniting a divided nation and reforming a deeply authoritarian and kleptocratic state. Early in January, the ruling party itself admitted the menacing nature of the division within the country and pledged to work towards national reconciliation. 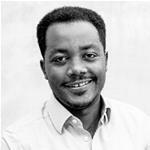 The new prime minister needs to move away from the socially and politically ruinous policies and ideologies of the ruling party, such as revolutionary democracy, developmental state, and democratic centralism used thus far in Ethiopia’s history to circumvent the constitutional order and democratic accountability. The party’s ideological beacon Meles Zenawi, who ruled the country for over two decades with an iron-fist, used these policies to maintain absolute control over federal and state governments and institutions by channelling decisions via the party system rather than elected representatives. His successor, Hailemariam Desalegn, strictly adhered to Zenawi’s policies and visions. Nearly seven years after Zenawi’s death, his authoritarian policies and vision still shape the ruling party and the country. Ethiopia is a deeply divided nation. During the tenure of Meles Zenawi as prime minister, historical differences between various ethnic groups in Ethiopia – particularly between the Oromos and the Amaharas – have been used as an anchor for a policy of divide and rule. To secure the absolute invulnerability of the ethnic Tigrean elites to which Zenawi belongs, the Oromos and Amharas were presented as eternal adversaries who hold mutually exclusive views about Ethiopia’s past and future. Oromos were cast by the government as secessionists that threaten the unity and stability of Ethiopia, while Amharas were presented as a hegemonic group seeking to resurrect the old feudal empire. Within this framework, the current arrangement, in which ethnic Tigrayan elites play a central role, was presented as the only viable option to take the Ethiopian state forward. Over the years, both groups played into the hands of the regime, and unwittingly helped sustain the narrative it used to legitimise inequality between ethnic groups. The protests of the last three years ruptured this narrative that allowed the regime’s policy of divide and rule to thrive. The protests allowed the notions of solidarity and unity to gain traction, transforming the national discourse from one of mutual antagonism to strategic collaboration and coordination. The expression of solidarity that began with protesters in Oromia and Amhara slowly permeated the social body, eventually reaching up to the Amhara and the Oromo wings of the ruling coalition. Ahmed’s election as prime minister would not have been possible had it not been for the decisive support of ethnic Amharas. Political repression is perhaps the single most important factor behind the current crisis in the country. Over the last three decades, the state built an Orwellian surveillanceinfrastructure reminiscent of the Stasi in East Germany, and its security forces acted with total impunity, vitiating the authority of the law and sapping citizens trust and confidence in institutions of justice. Ahmed cannot hope to implement vital reform agendas while the state of emergency is hanging over his head. One of the new prime minister’s most important and immediate tasks will be to lift the state of emergency and ensure the full restoration of constitutional rule: There can be no reform while the emergency is in place. This is an important step for the new leader, not only to implement critical reforms, but also to maintain public trust and confidence in his ability and willingness to reform critical institutions. Ahmed was elected with a landslide, but without any support from the Tigrayan People’s Liberation Front (TPLF), a faction that is still at the locus of power, and controls the intelligence and the military. Although he has strong support within the EPRDF, parliament and the formal structure of government, his single greatest challenge will come from the intelligence agencies and the military. Ahmed’s premiership will not end Ethiopia’s ongoing nightmare. Ethiopians will not wake up in a free country the day after he is confirmed. However, with the right strategies and tools, his premiership can pull the country back from the brink of explosion and mark the beginning of the end of a painful era.